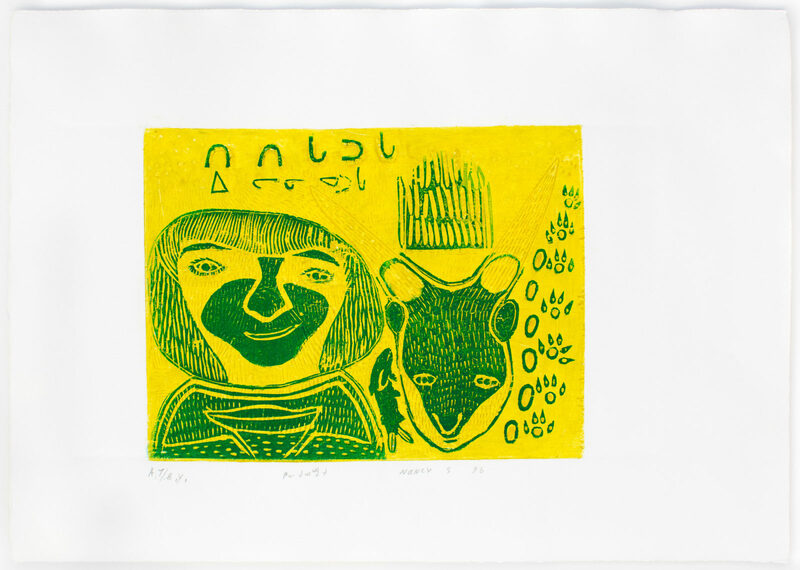 I Am Writing, I Am Learning, 1996, woodcut, A 7/8y, 9 x 11 3/4 in. 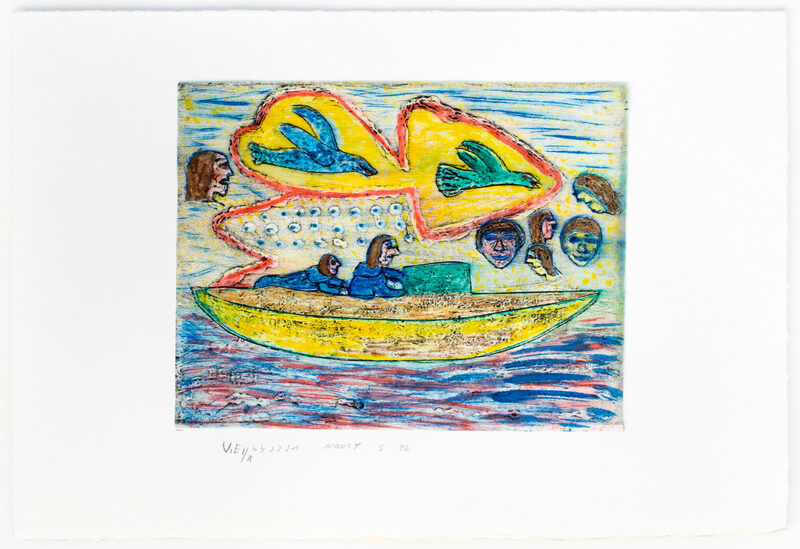 Crossing By Kayak, 1996, woodcut, collograph, chine colle, VE 1/4, 9 x 11 3/4 in. 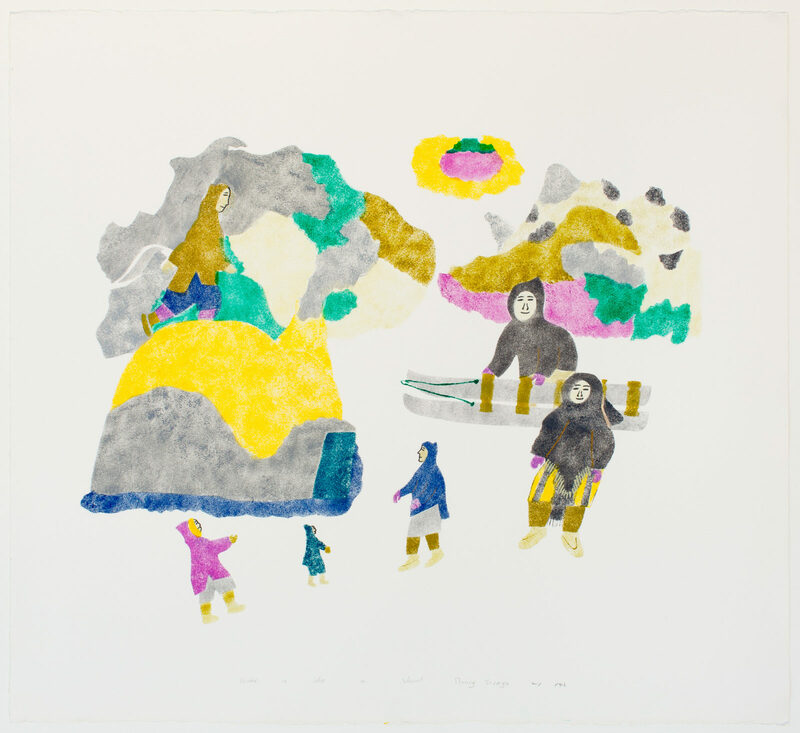 Winter In, 2001, stencil, paper, 18/40, 27 x 30 in.